The debate was sparked off by the DHA’s stated intention to speed up the processing of the White Paper on International Migration. The Minister said that somewhere the Department had to debate the immigration policy beyond what it was currently doing. It had to come up with integrative immigration policies, but the questions that were beginning to be asked, even by the ruling party, required decisions to be taken at that level in order to guide the Department as well. Deputy Minister Chohan, a trained lawyer, pointed out that the Bill of Rights, sections 21 and 22, says citizens have the right to enter and to reside in the country. The emphasis was on ‘citizens,’ and nobody else. The Bill of Rights also states that citizens had the right to choose their occupation and could work and run a business. Once again it does not say ‘everybody,’ it says ‘citizens.’ If one understands the Constitution, one understands that those rights of entering, residing and choosing one’s occupation were reserved for citizens and these rights would not be extended to anybody else. One could therefore not say that people like refugees had the right to own spaza shops, if one actually understands the Constitution. One could not say that refugees had the right to run businesses in the country if the Constitution was understood. Even if the right to education, the right to health and so on was extended to everyone, one first had to have the right to reside in the country before one could be granted access to education. The Chairperson suggested the Committee should try and arrange for the House to have a debate on the immigration issue. It was definitely important for people to understand the regime and the constitutional provisions in relation to citizenship and immigration. Other issues arising from the DHA’s fourth quarter report were its difficulties in getting births registered within the required 30-day time frame; people using DHA facilities being urged to pay by card in order to reduce the amount of cash in its offices; staff limitations at ports of entry resulting in the failure to complete the pilot introduction of the biometric Enhanced Movement Control System (EMCS); the need to process the Border Management Agency Bill; and the handling of fraud and corruption with the DHA and its entities. The Chairperson welcomed the Minister, Ms Hlengiwe Mkhize, and Deputy Minister, Ms Fatima Chohan, and the Department of Home Affairs (DHA) delegation which would be giving a presentation on the DHA’s fourth quarter report. He acknowledged that there were still challenges in the Department, but things were turning around for the better and he hoped that the trajectory would be sustained. The Committee would continue to try and get the Border Management Agency (BMA) Bill through Parliament at the earliest opportunity, and he hoped that this would happen in the next two weeks or so. A lot of energy had been put into that legislation, but it was just on the shelf and not translating to anything that could improve the lives of the people. Minister Mkhize said the DHA had noted a few concerns about the number of acting positions in the Department’s structures, and discussion had begun on how to move forward. The performance of the DHA was not yet at 100%, and the presentation would identify that some of its challenges were related to the independence of the functions. Some areas where the DHA was experiencing challenges were where they had to rely on outside support to achieve 100% results. She looked forward to the assistance provided to take the DHA forward. The Committee was fully aware of the new position of the DHA, which would still carry the same functions, but hopefully with an improved performance. Mr Mkuseli Apleni, Director General, DHA, said he would focus on the areas where the DHA had not achieved its targets so that the shortcomings could be explained. In this quarter, the DHA had 35 targets planned, and had achieved only 30, representing 86% of the target. In Programme One (Administration), 20 out of 22 targets (91%) had been achieved. In Programme Two (Civic Affairs), four out of five (80%) had been achieved, and the Programme Three (Immigration), six out of eight (75%) had been achieved. The overall 86% achievement for the quarter was better than the 82%, 78% and 71% performances in the first three quarters. The 2016/17 full year achievement of 84% showed an improvement from last year’s 81%, and the 70% and 53% recorded in the two preceding years. One of the highlights for the quarter was the fact that the DHA had been able to issue 765 257 ID Smart cards to citizens 16 years of age and above. They had also been able to deliver 35 896 first issue IDs within 54 working days, and 32 167 re-issues of IDs in 47 working days. The DHA was pushing the issue of the White Paper on International Migration following a conference which the Department had hosted on 17 and 18 March. The White Paper had been approved by the Cabinet by the end of March, so the DHA was taking that process forward in the 2017/18 financial year. The DHA was also improving its regime for issuing permits within the norms, although there were still challenges in this area. The improvement could be attributed to the DHA’s better planning and monitoring of its operations. The online adjudication process and modernisation of the DHA was helping them achieve their targets. There were five targets which the DHA had not been able to achieve. The first was around the Enhanced Movement Control System (EMCS), a biometric pilot programme, where the DHA wants an interface of fingerprints at the ports of entry with the Home Affairs National Identification System (HANIS) and the National Identity System (NIS). This would enable the DHA to check on foreign nationals crossing the border, and if they had applied for entry as an asylum seeker but the next day they travelled back to their home country, the passport system must be able to detect this. On the other hand, if you were a South African and carrying a passport, once your fingerprint was scanned it would be linked to the National Population Register (NPR) to see whether you were the same person who was actually registered. There was a delay in this issue, as it was a complex process. The second target not achieved, that the Committee would recall, was the submitting of the annual report by 30 September. This had been because of the DHA’s need to deal with the issue of revenue. There had been a lot of discussion and going back and forth between the DHA, the Treasury and the Auditor-General (AG). It had been resolved late in the financial year, however, so this target could not be achieved. This would be changed. The third target, which was a sore point with the DHA, was about the registration of births within 30 calendar days. The DHA had missed the target by 4 000 and registered only 750 000 births within 30 calendar days, meaning only 99.3% had been achieved. This was something that the DHA was working on. It had engaged with BPM on a project which would be evaluated to come up with a scientific reason as to why people were not registering within 30 days. There was also the issue of capacity, where the DHA realised that there were 29 000 babies who were registered between 31 days and 60 days. If this number had registered before, the target would have been reached, but on weekends and public holidays the DHA was not at the hospitals, so this was something to look at. If the capacity could be increased it would help, but the issue was understanding why people were not registering over weekends. The fourth target was the launching of the Border Management Agency (BMA) Bill. There had been a lot of issues surrounding this. The Bill still needed to be passed by Parliament, and then it had to go to National Council of Provinces (NCOP). Lastly, ports of entry had been selected, which would help to improve infrastructure, but one could not go and improve the infrastructure without agreement, so the DHA was dependent on the Department of Public Works (DPW) and the signing of the lease agreements, and three had not been completed. Mr Apleni said it was not necessary to spend too much time on what had been achieved, as the Committee was more interested in what had not been achieved. In Programme One, there were two targets which were not achieved in the fourth quarter. The NIS needed to use certain testing and have systems completed. There had to be an Environmental Monitoring System (EMS) with full biometric testing and piloted at one point entry, and the DHA had not been able to finalise this. Although it was recorded in this quarter, it was a continuation from the previous quarters. In Programme Two, the only target not achieved was the birth registrations. In this quarter, it was missed by 2 000, and the other quarters combined came to 4 000. In Programme Three, the target for the BMA Bill had not been achieved in any of the quarters, so accumulatively that was the third target. The fifth target, about the ports of entry, was dependent of finalising those agreements. The rest were all achieved in the third programme. Mr Apleni said the budget of the DHA for the 2016/17 financial year had been R8.155 billion, of which R8.143 billion (99.8%) had been spent and R12.2 million had not been spent. Compensation of employees was at 100%, as were goods and services. The unspent funds were for video conferencing equipment, but a delay in Treasury approval resulted in these funds becoming available only in the adjustment estimates, and too late for tenders to be issued and finalised. That was the only amount that the Department could not spend but the rest of the money was utilised. The Department also receives funding from the revenue it collects, which it is allowed to spend. An amount of R962 million had been budgeted as revenue which the DHA would collect, but it had collected about R1 billion, and the balance had to be given to the National Treasury. The hope had been that Treasury would allow the Department to spend all the money which they had collected, but only the budgeted amount was allowed. The cash in transit system -- to collect cash from the DHA’s offices and take it to the bank – meant there was a lot of cash on the Department’s property. A card payment system had been established, where people were being urged not to bring cash but to rather pay with a card. There were very few people who did not have cards, and payment by card would reduce risks and expenditure. Mr D Gumede (ANC) wanted to know what was being done about undocumented immigrants, as this had not been included in the presentation. Reports of people being harassed by immigrants were accumulating, and government was expected to do something about this. It was not seen as xenophobic, but some of these issues should at least be addressed. When Members worked on the causes of violence, they found there were places in Durban that were open to everyone for child prostitution. This was seen even in Johannesburg. These situations created tensions from time to time, and a way needed to be found to show people that the Department and Committee were doing something about eradicating these crimes, which South Africans were not really used to. During the past two weeks, for instance, there had been a lot of incidents reported in social media that, if left to accumulate, would cause embarrassment for the country. He thought it was important to talk about the impact of the 16% of targets not achieved. The government had set these targets because they wanted to solve some problems, so if they had not been solved then the Department must say that they had not used all the resources, but they had a plan to solve the problems. The DG had spoken about the DHA not being able to pilot the full biometric enhancement movement control system at more than one port in the coming year owing to a lack of cooperation from the SA Revenue Service (SARS). What was this lack of SARS cooperation? Was something being done about it? Could the Committee assist with ensuring there was cooperation with SARS in this respect? Regarding the limited ability to create a DHA data platform, were enough people being trained to be in a position to realise this objective? In respect of the IEC, the less intervention the better. The oversight could be continued to be discussed, and see how best to approach this oversight without interfering too much with an institution that was seen as independent. The GPW oversight needed to be done together with the DHA, because there were objectives which were measurable that the Committee could look at. The Chairperson said that the Department’s APPs contained targets for these entities, but the issue was for the DHA to come and report on whether they were achieving their targets. The question was, how did the Committee want to hear them -- through the Department, or would it advise them to come to a meeting? Mr A Figlan (DA) asked whether the issue with the State Information Technology Agency (SITA) had been resolved. In terms of recruitment, how many posts were planned to be filled this quarter? Ms D Raphuti (ANC) referred to the issue on birth registrations and the fact that the Department could not reach the targets set because people registered their children late, and could not register over weekends. Was it not possible to use recipients of learnerships to assist? What were the reasons for the loss of 202 staff members? The number was a bit high for staff leaving/resigned. Ms T Kenye (ANC) asked about the challenges facing the GPW, and asked if there could not be a special arrangement with Treasury to deal with this issue. The Chairperson says that even though there may not be targets, the DG could possibly include in the drafts of the quarterly report the number of people involved in fraud and corruption that had been jailed. It would assist the Committee to move forward. Ms Raphuti addressed the issue of fraud and revenue collection. If one did not have a bank card when making payment at the DHA, what would the recourse be? Why were general work visas being analysed within eight weeks and issued when the country needed critical skills? She was being phoned by doctors because there was a shortage of doctors. Who would help her with this? There were students at the Universities of Cape Town (UCT) and the Witwatersrand (WITS) who would like to do their internships, but were facing challenges in this regard. The Chairperson said that the DG would explain exactly the process involved with the critical skills, and who the role players were. Minister Mkhize said she wanted to talk about the relationship between the Department and the IEC. The IEC were meant to come to a meeting, and Minister Mkhize had suggested that as a Department they should oversee what the IEC was doing. Everyone in Cabinet was talking about the implications of the 2019, and surely without interfering there should be a way of accounting (as highlighted in the Public Protector’s report), and this would be flagged by the Department and would be taken forward by the DG so that there was a clear engagement with the IEC. There were other commissions -- the IEC was not the first one – who were looking at what the Public Protector was doing, without interfering with how they made decisions. There were cases involving the IEC which had already been decided, so the DG could take that process forward with senior management, and they should be able to guide the Committee on how they see the relationship between the Department and the IEC. Minister Mkhize continued that somewhere the Department had to debate the immigration policy beyond what the Department was doing. It had come up with integrative immigration policies, but the questions that were beginning to come up, even from the ruling party, required decisions to be taken at that level in order to guide the Department as well. The debate that had started would hopefully deliver benefits, especially after the policy conference where the DHA would begin to evaluate the issues. People all over the country were raising the same kind of queries regarding immigration as those raised in the Committee, and the problem was what the Department was doing about the movement of people, especially those on the African continent. Sometimes a conservative view was taken, and sometimes people were generous and wanted to open up, so the Department needed to clarify its policies for everyone. This was just a broad and open statement, as she wanted to allow the DG to think through his responses to the Committee. The Chairperson said that the immigration policy should be debated in the House, where the issues could be addressed, and the Committee could try to influence the finalisation of relevant policies. Mr Gumede had been talking about undocumented foreign nationals, and Ms Raphuti had been talking about ordinary general workers being afforded the opportunity to cross the border and actually compete for work against lawful or unskilled people in the country. Then there was another category who go to the offices of Home Affairs and enjoy support and attention because they call themselves pastors. However, when they get the necessary documentation, whether correctly or by fraud, they run churches where they get local people to pay thousands of rands, and nothing is paid in the form of tax. Behind all of this was something unethical, and Home Affairs participated because the majority of these people had come from across the borders. The communities believed in them, but in the process of this belief the people were getting ripped off. What role was the DHA supposed to play, because there was this element of immigration? The Chairperson continued with more examples, such as creating brothels and human trafficking. During this process, the immigrants brought drugs. The Committee Members were not investigators -- they were just ordinary politicians in the room -- but surely this situation needed to be dealt with. Mr Gumede also referred to the issue of immigration. The White Paper had been sent to the Committee in March, and for it to take the process forward, he suggested that the Minster should make a statement on immigration and the White Paper, and say exactly what it was, and then the different political parties would respond to that statement. If this was done, then a debate would start in the media and among the people. The Chairperson said that this was a good way forward, but the timing of it needed to be linked to policy. One of the intentions was to get a response and see how other people were doing things. The conference would take place around 17-24 June 2017 and when the Committee returned, he hoped that they would all be equipped to talk to this immigration policy, especially after seeing how the Europeans were handling matters. Mr Apleni said that the immigration issue needed to be debated, and after that the DHA would look at the White Paper and why BMA Bill needed to be processed. The reason the Committee meeting the National Treasury on 30 May because the Department was saying that if Home Affairs had only 750 inspectorate officials at immigration posts across the country, then it was impossible for them to do anything. When one drove around one could see a lot of metro police at one traffic light, but the DHA did not have the capacity to do this. In Johannesburg, they were appointing 1 500 people in the city, but Home Affairs had 750 for the entire country. Mr Apleni referred to the impact of the BMA. When coming to South Africa, one must apply in person so that one’s biometric details can be checked. Then when one arrives in SA, the officials know who you are -- but the DHA was not being supported in this regard. What were the consequences of allowing anyone into the country? If one asks a person how they came to South Africa, they reply that they came as visitors. People come to SA with a visitor’s visa, but when they are in the country things start changing and if these people are not sent home then their status would eventually change. The issue here, therefore, was having the will to implement what the DHA has. The BMA, as a matter of course, would be able to assist the DHA. The repositioning of Home Affairs has led to the suggestion that Home Affairs must be established in an Act. Home Affairs had to be operating in a secure manner so that even the staff recruited had processes to follow and were part of the security class -- not by name, but by the way things were being done. Dhe Department wanted to improve the infrastructure a little bit, but due to the budget that was given they were not able to build the six ports. The Enhanced Movement Control System was exactly what the Department wanted in terms of the fingerprinting, but even that had issues. The pilot that was implemented had been put in place and then taken off because of capacity issues. What frustrated people were seeing empty counters. For example, when standing in a queue to take a flight, the biometric system worked, but there were not enough officials at the counters. When going to other countries, they take fingerprints but what makes the most difference is the fact that the counters are full. When standing in a queue, it goes much faster with filled up counters, but this was not found in South Africa. When talking about budget cuts, other departments like the police, education and health were not cut. The DHA was, however, cut. The result was that only 50% of the counters were operating. This system would result in a useless effort, as there was a pressure when people stood in long queues, with half getting fingerprinted and the others not. One could not work with the security of the country like that. The issue of birth registrations was a sore point for the DHA, and the only option was to modernise the system. Physical forms were still being filled out after the delivery of the child and that form was for health only, but if one changed the form from writing on paper to electronic, then the information would go directly to the DHA. This was one solution to the problem. The DHA had met with the Treasury yesterday (22 May), and they were preparing for the meeting on 30 May. The Treasury said that the issue of the filling of vacancies was important, and the DHA needed to give them what they thought were the critical posts which the Treasury could look at. The DHA informed them that the branches that they would like help with were the civics, around the registration of birth; the area around immigration, and the truth surrounding the inspectorate as well as the issues on the ID cards. The DHA was not saying that the other branches were not important but with what they had, if those three could be attended to, then things would look up. Mr Apleni said that the DHA’s problem was not with SARS, but with the GPW. The DHA was dependent on that department, and all the DG could do was submit and push. Things were not being done, even after waiting for a long time. The Chairperson clarified the statement made by one of the Committee Members who had said something about the DHA having problems with SARS. It was around the EMCS, where the DG said the DHA would like to align the fingerprints in order to double check. Mr Apleni replied that it was not an issue of not wanting to cooperate, but rather an issue of skills. The DHA needed a business analyst in order to do what needed to be done. He repeated that the issue was not with SARS, but with the GPW. The DHA could train people up to a particular level, but the a business analyst was someone who needed to be outsourced. On the list that the DHA would be going to the Treasury with, it showed that when comparing the DHA and SARS staff numbers, the DHA had 60 staff members (including secretaries and so forth), whereas SARS had about 800 staff members. Even now there was a shortage of skills, so this supported the fact that the DHA could train up to a particular level, but that was still not enough. Because the DHA would be starting to automate births, marriages and deaths, one needed IT skills to make it the system work. There was also the security of the systems to consider, because if the DHA did not have security expertise there could be problems. For now, the DHA did not have the necessary skills to do this. The Minister had already been briefed on the issue of SITA, which would come back on 6 June. The DHA had requested that they be exempted from involvement with SITA, but the Act directed that the network of services must be given to SITA. SITA was coming with a proposal which would allow the DHA to have some control over the process. The DHA would work through SITA, but they would be the supplier. They would sign a contract so that it could be understood, and what they would be supplying would be based on the money which would be paid to SITA. This was a process which the DHA thought would resolve the problem. Mr Apleni said the issue of learnerships was that they still had to be paid, as there was a minimum stipend that they needed to have. For a programme like this, which was a core of the Department, it could not be run based on learnerships. The DHA needed to look at it and ask how they could source it. The learnerships were also meant to be at a particular level. The DHA had included the issues of capacitating the hospitals and registering in the meeting which would be held with the Treasury. At the Department, people were resigning within the norm, as it was stated that the vacancy reading must not exceed 10% and the DHAs resignation level was very low. There was not an alarming rate of people leaving the DHA. The DHA checked why the people were leaving the Department, whether they were leaving to stay at home or whether they had got a better job position. If they left because of a better job position, then the DHA was very proud of that. On the issue of the bank cards, when the DHA say that they want to use cards, they are not saying that they would no longer accept cash. On the “eHomeAffairs,” people were now paying directly online without coming to the offices of Home Affairs, so the DHA was trying to reduce amount of cash. Regarding the general work visa, the DHA did not believe that it could close off the country completely, but what was important was to determine who should get a general work visa and for what. It must not be open-ended. South Africa could not close its borders -- people from Lesotho, Swaziland and other places would still cross the border -- but this could be improved if there was a way to manage this. The issue of doctors, which was part of critical skills, would be looked at. Their internships were part of their study permit. Mr Apleni moved on to the issue of fraud, and said that the DHA needed to work together with the law enforcement agencies, as it was not a matter for Home Affairs alone. They had a project in place which allowed the DHA to say that a certain number of employees in Home Affairs had been arrested and it could therefore check how many of those arrests had been successful. However, there was an issue, in that the court system in SA says that a person involved in a situation must give evidence and if an employee was arrested with a foreign national and at the disciplinary hearing the foreign national comes and the employee is dismissed, the employee who was dismissed can takes it to the next level. Then the foreign national disappears, causing the employee to win the case. The fact that there was no longer a witness could also be a major problem. In a proposal in the White Paper, the DHA wants to do away with what is known as permanent residence. If someone wants to come to the country, SA says that they would give them a 30 year or 50 year visa, and this was building towards the issue of residence. This needed to be investigated and if it took three years to investigate, then the ones with critical skills would pay special attention to it. Mr Apleni described the success of the fingerprint pilot as a “stop in, stop out” situation. In a media briefing given by Minister Mkhize, the issue of 25 Tanzanian passports had been raised, where they had taken a passport and pasted a photo on to it and laminated it, so that when one looked at the passport it looked legitimate and allowed them to fool the system. The passport as a book was no longer helping, as the only thing that would help now was the biometric system. The DHA wanted a smart card, where your passport was electronic, and this idea of fooling the system would stop. Even South Africans could use this when they went to a port and used their fingerprint to verify that they were South African. This all went back to what Minister Mkhize had said about modernising Home Affairs. Regarding litigation, the DHA still believed that they were among the highest litigated departments because they touched everybody’s lives. Home Affairs should therefore have specialised people to deal with the Refugee Act or immigration. Mr Apleni made it clear that the DHA was not a department that made much use of consultants. The only consultants they used were the ones that they got through SITA. They also used consultants around the issues of revenue so when the annual report was being done, they would help the DHA with the results. The targets of the disciplinary cases had been included, where it stated that 70% of the people had been found guilty. However, the Committee had said that the DHA could not say “found guilty” as if they already knew this to be the case, so the DHA had included this in the target and when it came to report about it, it would be included in the report. The Chairperson said that he had engaged the DHA about three times in the foreign offices, where the Home Affairs officials had a tendency to advise customers to get a lawyer and go to court, otherwise the DHA would take the law into its own hands. The DHA should therefore not be surprised when they found themselves being litigated every day, since some of the litigations began inside the offices. People were afraid to take decisions in terms of their positions, and rather wanted to comply with a court ruling, which would make their lives easier. The DHA had to come up with innovative ways of dealing with the current two to four million undocumented foreign nationals on the streets today, to try and regularise this situation. At the end of the day, what could be done about the undocumented foreign nationals who do not fit into any regime of immigration and were just on the streets? One finds foreign nationals at the parking lots at the malls everywhere since the majority of them do not speak the languages of SA. There were many foreign nationals here and the immigration policy helped to manage this, but those that were not residents were remaining here and the question was what should be done. Minister Mkhize questioned whether the DHA’s own officials encouraged people to go to court or not, saying that there was a trend worldwide for a growing field of lawyers to focus on immigration. This was part of the syndrome that was democracy, where people wanted to move around freely all over the world. In most countries during elections, it was found that there was no personal stand by the president without debating his position on immigration -- it was only in South Africa where it was left to the Department. Sometimes the Department was limited. Could one call an amnesty, and say that all who were here and undocumented should come forward, so that they could be processed? Would they then be sent back or allowed to stay? Minister Mkhize says that besides the DHA’s officials, they should expect more and more lawyers in this growing field to look for work, and they were very strong and aggressive. Whether one was in Europe or in developing countries, they worked very hard and they pushed governments into a corner regularly, so they had to be prepared deal with this. These four million undocumented foreign nationals had education and social development, and the hospitality industry talks about this all the time. People were saying that their hospitals were going to go bankrupt, because the statistics of Zimbabweans walking in and out of the hospitals was another problem. The other departments say that these people should not be deprived of opportunities to get health benefits or an education. The foreign nationals even get grants for school education. There were some things that were beyond Home Affairs, but they did of course have to play their part in the community. Minister Mkhize made another point about the criminal justice system in South Africa, where if one was refused the status of refugee, then one went to a traditional court. In Europe, however, they had special commissions which were set up by the government to deal with specifics and they make it difficult to appeal. An example would be in the Netherlands -- if you wanted to appeal something they would send you to a commission, and that commission was run in Dutch, so if you were a foreigner the commissions were open, but they were also closed, in a way. The result of this was that they ended up not taking up the issue. However, the people here go to court where they challenge the decisions of government and the process is dragged on forever and the person that is deported would disappear. Something needs to be done in the criminal justice system so that the undermining of policies could be looked at. People say that when you deport 80 then maybe 85 would come back and they do not realise that the problem was not what Home Affairs was doing but rather the actual system which was not coherent and tight enough to send a clear message that one could not mess with government. Deputy Minister Chohan said that the Minister had covered the need for government consider its approach to migration when she gave the examples of health, education and so on. She also touched on how the system, in a sense, undermined what had been intended. She always came back to the constitution, which gives the people many answers if they want to search for them, but the problem comes when they do not want to search for them and choose to ignore them. The Bill of Rights, sections 21 and 22, says citizens have the right to enter and to reside in the country. She put emphasis on ‘citizens,’ and nobody else. The Bill of Rights also states that citizens had the right to choose their occupation and could work and run a business. Once again it does not say ‘everybody,’ it says ‘citizens.’ If one understands the Constitution, one understands that those rights of entering, residing and choosing one’s occupation were reserved for citizens and these rights would not be extended to anybody else. One could therefore not say that people like refugees had the right to own spaza shops, if one actually understands the Constitution. One could not say that refugees had the right to run businesses in the country if the Constitution was understood. Even if the right to education, the right to health and so on was extended to everyone, one first had to have the right to reside in the country before one could be granted access to education. If this hurdle was skipped, how could one say that the person had the right to education before they had the right to actually reside here, or to enter the country? How could one say that a person had the right to find a job if they did not have the right to reside or enter the country? This seems to be a case where ‘the cart was being put before the horse’. Very often, even the courts did not understand this. There should be specialised courts and specially trained people who dealt with immigration. Deputy Minister Chohan was trained as a lawyer, and she said that they were never taught immigration law as it was not part of the curriculum. SA traditionally was not a country that had taken part in normal immigration -- in fact SA was a country to which people did not want to come, so what was the use of dealing with immigration? Since 1994, nothing had changed, as nobody studied these matters. In fact, one would be very hard pressed to find case law on this right in the Bill of Rights, the one that says only citizens had the right to enter and to reside. Every other right such as education and health could be found, as the courts were pronouncing on it left, right and centre. This included lower courts, higher courts and medium courts. She said it seemed that the Constitution and its design were not really understood. There had been a long and intense process that had led the people to draft this Constitution, and there were things that people had decided in their heads about what should happen -- like the country must open up, and everybody must mean everybody, whether it was legal or illegal. These were the issues that the people must start asking themselves about, and if the country did not start taking itself seriously then no one else would. One could not start documenting people who were undocumented now, as it would seem like a reward to illegality, and when one rewarded illegality one would find that it sent a different message to those people out there who wanted to come to SA. The four million would be double or tripled in no time if this was done. What was needed was a comprehensive approach where all of society was involved. There had been arrangement that was spoken about with the film industry and with the Islamic institutions, and they got them to buy into the immigration legislation, and they had regulated themselves, which meant that they were invested because they saw the benefits. The BMA was also needed, because none of this could be done without the proper border controls, and one needed the law enforcement function and resources. These were the things that worked together and there was certainly no easy solution to this problem. The Chairperson said that as Mr Gumede indicated, when the Committee came back for another meeting it may be advisable that there be a ministerial statement either on immigration or on citizenship. Every time there was a talk show, people that phoned in showed a lack of information of what was required for them to actually have a specific type of visa. There were endless numbers of people who were refugees who were crying that the Department was not allowing or assisting them to go home -- they wanted to visit home, but they were refugees. Either there was a genuine lack of information on how the regime worked in terms of immigration, or there was a deliberate misrepresentation of the systems. Even the lawyers for human rights, when the public hearings were being done, one could hear that they had decided to ignore issues and speak about things that referred to delivering services to their clients, but forgetting the rights of the state. If one was a lawyer for human rights, then one must advance the laws for human rights but within the context of the state and what the constitution stated, and one must also raise the things that the people were responsible to do while one was fighting for their rights. This was not being done, as they simply fought for their clients and forgot about the responsibilities that they had to the state. The Chairperson suggested the Committee should try and negotiate with the programming office to see whether the House would allow them to have a debate on the immigration issue. It was definitely important for people to understand the regime and the constitutional provisions in relation to citizenship and immigration. To a certain extent, the changes from the green bar-coded ID book to the smart ID cards, and then to the ePassports that the DG had spoken about, could cause confusion. People were saying that they wanted the smart ID card, but they were staying in an area where the DHA’s office was not equipped, so instead of taking the green ID book they would wait for the smart ID card. It looked like the people thought that the smart ID card was completely replacing the green ID book, which they believed was discontinued, but this was not the case. There was that little confusion out there, and it needed to be dealt with. The Chairperson said some important points had been raised. Immigration was a pressing issue and and it was understood that efforts were being made to deal with this. However, there was also talk about phasing out permanent residence, for example. Permanent residence was granted to a foreigner who was able to meet certain criteria set out in section 26 and 27 of the Immigration Act, and the country was bound by this law. So when there was talk about phasing this out it, was problematic. Another issue was when the Minster said that a clear message must be sent to the courts and lawyers that show that they could not mess with government. This rang some alarm bells. Another concern was when Deputy Minister Chohan said that perhaps categorisation moved towards statements of creating a finite pool of citizens in the country, because in terms of internationally accepted protocols of immigration there were stepping stones to immigration which prevented one from having an absolutely finite pool. The concern was, therefore, that the above concerns were going to be enshrined in the BMA Bill, and it was something that needed to be looked at extremely carefully. Ms Kenye said that after listening to the DG, the Minister and Deputy Minister, she was worried that there was a big problem. The Chairperson had said that the Members were not investigators, but they were listeners to the citizens. Did one ever think of looking at the justice, the police and so forth? Maybe listening to all of it could assist in solving the problem. People were saying that there were foreign nationals who were not even in South Africa, but who had about ten spaza shops in the country, and this was a major concern. When someone was in his/her own country, but they ran the ten spaza shops by sending people to come and manage them, was it not necessary to track this kind of crime? These issues must be looked at and discussed as to what could be done in terms of law enforcement. Also, on the issue of the birth certificates, when talking about getting automatic registrations from the Department of Health, would information be available about what occurs during the weekends in the hospitals, and getting the exact numbers? Mr Kekana says that when he was a Community Police Forum (CPF) chairperson around 2001, there had been a joint inner city grand operation established in Johannesburg with the police force, the DHA and other forces, including private security companies, which had been very successful and more than 10 000 undocumented foreigners had been arrested and all illegal businesses were shut down. If the Minister could come with this initiative from Home Affairs and work with the counterparts to take this situation seriously, then the country would win, but if there was no will from the executive, then one could forget about it. The will must come from the Ministers, and it was there that this would be successfully implemented. It was not only about crime, but also about the effect it was having on the economy. One had to think deeply when talking about this, and make sure that things were being done the right way. As the DG mentioned, the BMA wanted to address some issues but while the BMA Bill was not approved, then one should make sure that there were certain strategies being followed. His humble request was that a grand operation be established. The Chairperson said that it was their responsibility to ensure that the citizens were secure and they needed to ensure that those who were responsible accepted responsibility and accountability. The DA thought that they were going to take over the government in 2019, but the country was sovereign and what one should say was that the Committee was aware of the project in Johannesburg, where the Mayor had concerns with foreign nationals in the streets, and it was almost the same as saying that they needed to take accountability. If foreign nationals were not documented, then they needed to present themselves to be documented, and if they were not supposed to be here, then they should go back home. The question of permanent residence was, why would a person want permanent residence? Why should SA be in the business of taking citizens of other countries to come and live here? The fact of the matter was that the Constitution was very clear: ‘we respect the sovereignty of the countries along, around ourselves and everywhere in the world’. As a sovereign country, SA must respect other sovereign countries and when this was done, one could not “willy nilly” take any action that would undermine a sovereign country. By December it might not be known how many people had received permanent residence, and the population of the country would continue to increase. The issue of permanent residence should be handled with care. It must really be necessary, and there must be reasons to explain why a person had been issued with permanent residence. There must be serious reasons and not just a thing that happened overnight and somebody just decided that because they had been in SA for five years that they now needed permanent residence. There were many reasons why people came to this country because we allowed them to, but that should not automatically relate to permanent residence. It should happen in certain conditions that were clear and when explaining it to the rest of the world, it must make sense. What had been raised was actually politics. The people were responsible, just as much as the Committee Members, and one could not just behave in a manner where everything was open. Deputy Minister Chohan addressed the issue of the finite citizenry. She said that this was incorrect, and one would know from the White Paper that what was trying to be prevented was an evolution from achieving permanent residence to citizenship, where all one needed was to have that permanent residence for five years and then it was in order for one to get citizenship. This did not mean that one would not be enabled by another process as a foreign national to be naturalised in SA. That other process would look at one’s contribution to the country, as well as the loyalty to the country, and this would be taken into consideration and not just the number of years a person had lived here in SA. The issue of the number of years spent in SA was leading to huge fraud and corruption, particularly in relation to people who claimed that they were married to South Africans and therefore required permanent residence. However, after acquiring citizenship, it was then found that the marriages were in fact scams. This was just one of the issues that removing the permanent residence provision hoped to address, but there were obviously better practices. When accepting someone as a citizen, there should be a substantial reason -- what was the person’s contribution to the country, was the person merely there to make money and then take it out of the country, and was the qualification one that was needed to become a citizen? The intention was not to remove naturalised citizenship completely. 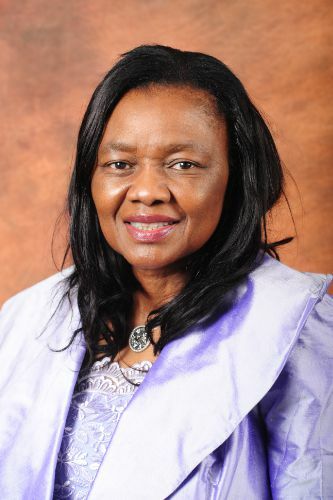 Minister Mkhize said that the Chairperson had picked up on the notion of the sovereignty of the state, and in response to earlier questions it was important to note that there had to be a continuing debate on the immigration policy so that there could be a common understanding. It was not enough just to define concepts -- one needed to go deeper. With regard to a specific concern with government, everyone knew that government had a responsibility and duty to protect and secure its citizens, so some of the concerns were not about power but about responsibility, and that was accepted worldwide. Government’s first duty was to secure and make sure that the citizens feel safe. There must be a common understanding of the importance of the BMA, as well as the conditions attached to those that had applied for the right to stay. 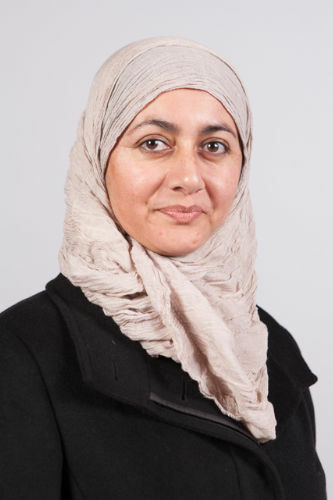 She spoke about the risks that should be managed, where government and departments could not afford to contradict and undermine one another, because then they were not properly governing. All over the world, cooperation was critical for government to succeed, especially when dealing with the matters of movements in a globalised world where everybody wanted to be other places for different reasons. Governments then had a duty to ensure that all necessary conditions were met and be able to account the citizens under which conditions these people were among them. The Chairperson said that those who followed international happenings would be able to tell them that in Europe quite a large number of countries were closing their borders and in America, Donald Trump was also making immigrants run. In SA, they were not making them run but all that needed to happen was better management of the movement. They had to remove the concerns of the BMA. The BMA was only about facilitating the movement of persons and goods across the ports of entry, and that was it. The BMA should not be misrepresented as anything else, and people should understand this. One must look at the amended bill and what it says, as the amended bill had been made to say all the things that the Committee wanted it to say. It was important to look at the amended bill and the report and see exactly what this BMA was expected to do, and then this should be represented in the right way.